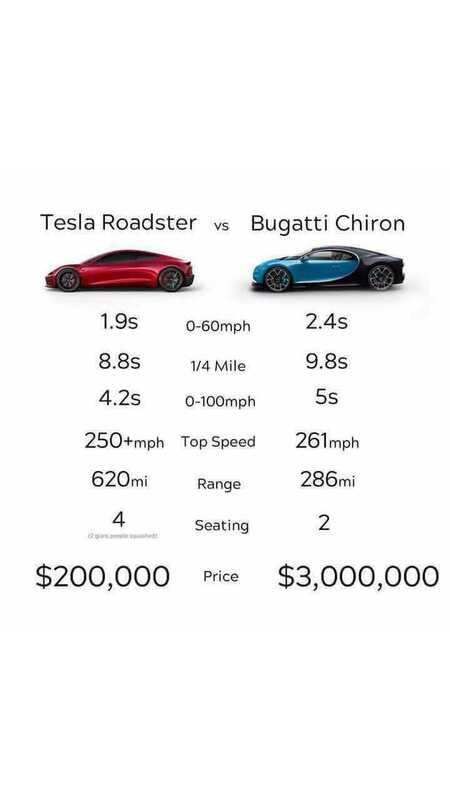 For just $200,000, the Tesla Roadster is a raging deal compared to the Bugatti Chiron. Why do we say that? Well, in terms of performance, the new electric Roadster beats the Chiron on most all fronts. And when it comes to price, there's no contest. Below is a graphic comparing the two performance machines. 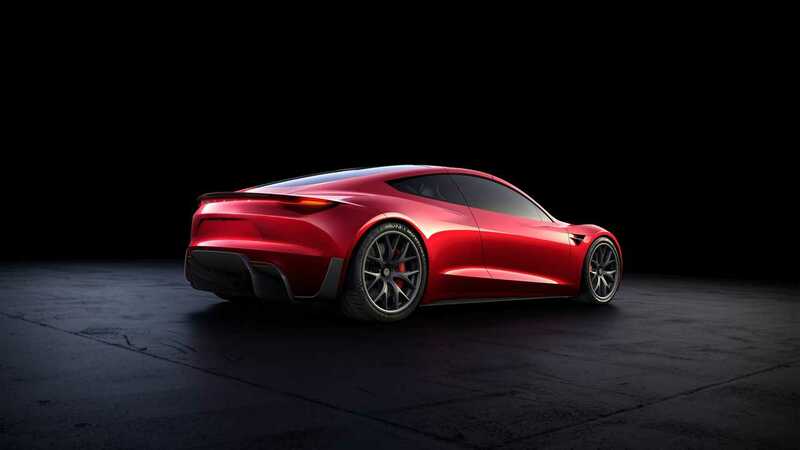 As you'll see, the new Roadster wins in all categories except for top speed. But the real kicker here is the price difference. 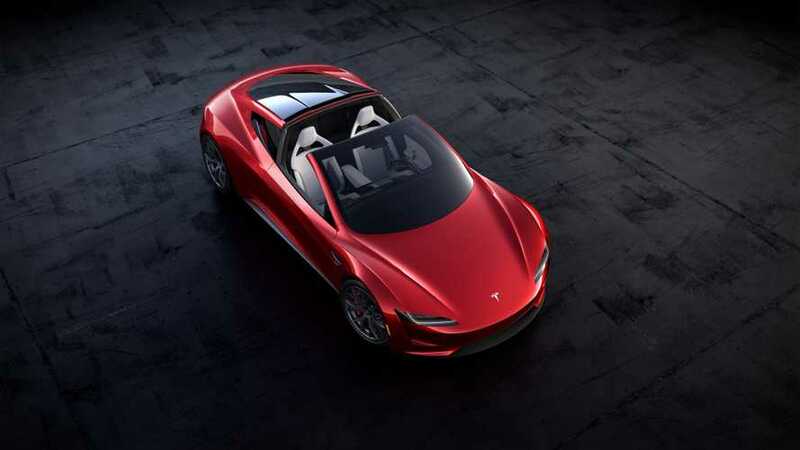 At $200,000, the new Roadster costs just a fraction of the $3 million Bugatti Chiron. So, for the price of the Chiron, you could buy Roadsters for the whole extended family, a maybe one of every Tesla model available plus a new house? Or maybe just save that extra coin the next hottest Tesla to come along further down the road. Oh, and those numbers listed for the Roadster above, those aren't with the "special option package that takes it to the next level," so the Chiron's really in trouble when that becomes available. All of this begs the larger question, "Is the day of the gas-powered supercar over?" We'll just go ahead and pencil in a 'yes, it is'.